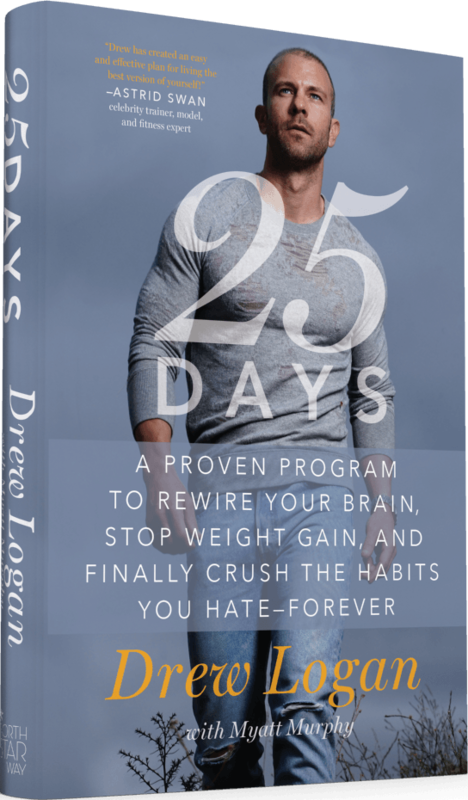 Drew Logan - 25Days FREE BONUS OFFER - Rewire Your Brain Forever! You’ll get 3 FREE live video coaching sessions with Drew, AND you’re automatically registered for the ultimate “Transformation Vacation” of a lifetime! These LIVE consult sessions cost over $350 per hour, but you get 3 exclusive LIVE FREE private workshops with DREW when you pre-order 25DAYS, NOW!! – CRUSH THE HABITS YOU HATE – FOREVER! * Offer is valid for all versions of the book (hardcover, paperback, e-book and audiobook) and for orders from all online retailers and from bookstores. Well, we can, in 25Days. 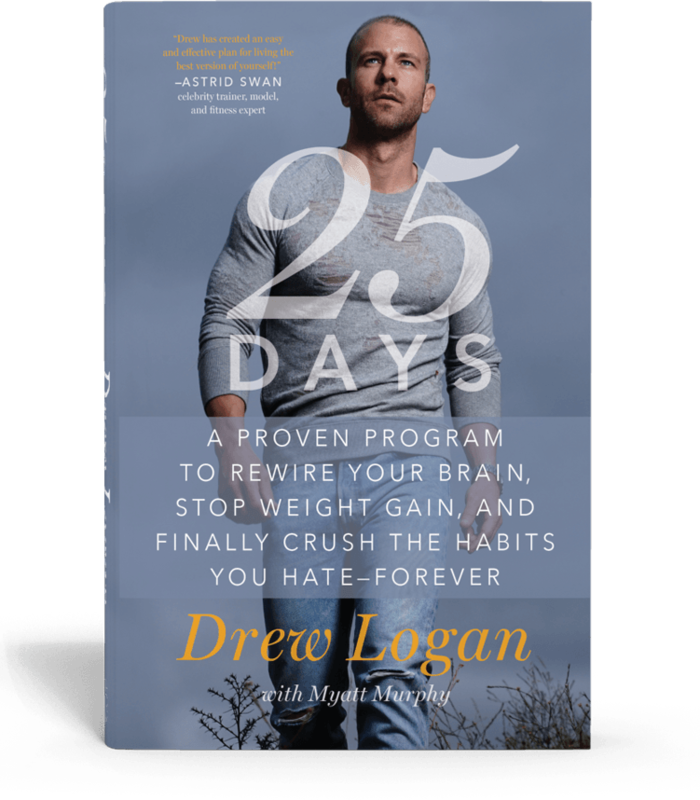 Celebrity trainer and cast member of NBC’s Strong, Drew Logan knows first hand how the brain affects our ability to perform and function at our best. After dying three times in 3 hours from sudden cardiac arrest, doctors believe Drew to be the only known medical case to survive 3 SCA’s in a single night without any heart saving implant device. While recovering from this trauma, Drew lost his short term memory – at first completely, then slowly he regained memory capacity over the next 3 months. No longer able to follow the complicated diet and fitness programs he’d typically relied on for himself and his clients, Drew needed to create something simpler. He was shocked to discover that the resulting program was even more effective than his complicated plan of the past. Discover what lies underneath those pesky habits that get in our way over and over again – so that the brain’s neural pathways, biochemistry, and hormones work together effectively, seamlessly, and efficiently. In the book, Drew defines what neurological patterns are, how they form, and the reason they’re secretly behind why most people fail to lose weight and get in shape. He breaks down these “unhealthy” patterns and shows how to erase them by creating healthier ones with diet, exercise, and a reward system. The book also includes the 25Days Grading System, Diet, and Workout Plan, as well as tools that will alert and assist readers throughout. One of the easiest, most effective diets to follow, 25Days provides the simple, step by step guidance readers need to adjust their diet and retrain their brains to achieve the peak shape and ultimate health they’ve always dreamed of.